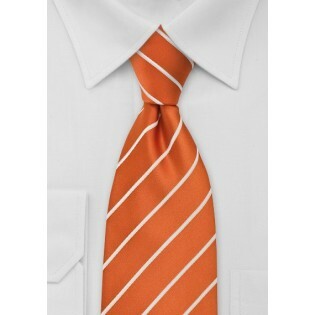 Look your best in this bright and bold striped tie in orange and white. 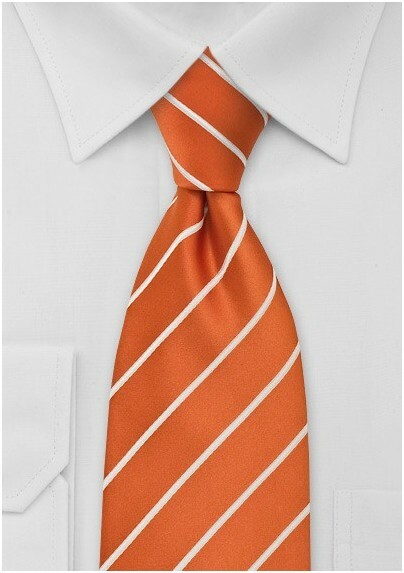 The vivid colors and the graphic stripes make this tie a quintessential fashion accessory. We suggest pairing this tie with a micro-check dress shirt, a dark navy suit and brown lace ups. This tie also looks sharp when paired with a white dress shirt, grey blazer and dark denim jeans. This tie is made from a stain resistant microfiber.